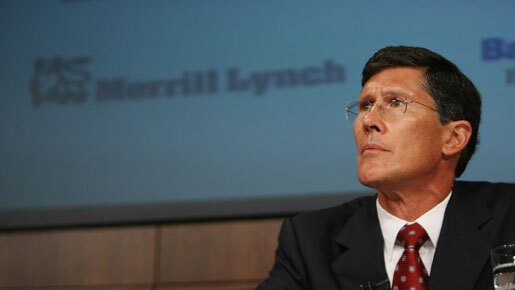 CIT Group Inc has hired former Merrill Lynch CEO John Thain as its new chief executive, the commercial lender said in early February, wagering that the well-traveled executive can guide its post-bankruptcy turnaround. Thain, 54, immediately replaces interim CEO Peter Tobin, who will remain a director. Former CIT chief Jeff Peek, another past Merrill executive, retired on January 15. CIT said Thain was hired partly for the expertise he gained restructuring the New York Stock Exchange, as it looks to reestablish itself after a disastrous foray into subprime lending, and one of the largest bankruptcies in US history. Within the last decade, Thain was the number two executive at Goldman Sachs Group Inc, the number one at both NYSE Euronext and Merrill Lynch, and was fired by Bank of America, which acquired Merrill in the midst of the mortgage-market inspired financial crisis. CIT is not concerned about Thain’s reputation after his short but controversial stint at Bank of America, and the board performed the appropriate due diligence before hiring him, said a person familiar with the company’s thinking. No specific terms of the contract were revealed. Thain’s compensation will be “in line with expectations in this day and age,” John Ryan, CIT’s lead director, said in an interview, adding Thain didn’t want to stand out at a time that Wall Street executives are under fire for what is seen as out-sized compensations shortly after a recession. CIT declined to say whether it was also in contract talks with Nelson Chai, who worked with Thain at Merrill and at NYSE Euronext, and who was reported as possibly involved in a contract deal that included Thain. The company, which emerged from bankruptcy in December, said this month Chief Financial Officer Alexander Mason is set to step down February 26 as it revamps management and its board. After Thain left Goldman Sachs he lead the NYSE’s transformation from a floor-based market to a mostly electronic model. That restructuring “is similar to what CIT has to do going forward,” Tobin, the interim CEO, said in an interview. About a year ago, Thain helped orchestrate the deal for Bank of America to acquire Merrill. The Charlotte, North Carolina-based bank fired Thain a few weeks later, and later dealt with the fallout of surprisingly large losses associated with its acquisition, as well as bonuses Merrill employees. Some criticise Thain for being slow to recognise troubles at the storied investment bank he ran; others say he saved Merrill from the most devastating effects of the worst financial crisis since the Great Depression. The Harvard-educated executive also attracted controversy when news broke about his lavish $1.2m office renovation at Merrill, including an infamous $35,000 antique commode. Although Thain’s background is largely in investment banking, his first tasks will likely include reducing CIT’s debt and reestablishing it as a lender for small and medium-sized businesses. CIT’s new CEO will likely have to negotiate with regulators to allow it to move some of its best businesses to its bank, where it can fund them with deposits. “CIT can and will serve an important role in the recovery of the US economy and the creation of jobs,” Thain said in a statement. The company did not make Thain available for an interview.